Amongst Veronica’s many philanthropic and community activities, she always made valuable thinking time and many other contributions to first the founding, and then the continuation of the Hypatia Trust. With headquarters in Penzance, Cornwall, UK, the Trust is an educational charity that encourages and supports women and girls in achieving the highest goals that they wish to set – in arts, crafts, health and community activities. Veronica’s great skills as both a manager and organisational developer meant that shortly after meeting the book collector, Melissa Hardie-Budden at a Women’s Network Regional Meeting in the 1980s, she suggested a lunchtime meeting between Melissa and husband Philip together with Ludwig at a Somerset pub. Based on their shared interests in reading, learning and futures for young women – Veronica and Melissa each have two daughters making their way in the world - they proceeded to build up ideas for a positive community-based forum. This would follow in the footsteps of the 4th century philosopher, Hypatia of Alexandria – so important for her scientific, humanitarian and egalitarian teachings. When a Trustee board was set up in 1996 and charity registration effected, Veronica became the first Chairman of the Trust. She was present when the first Hypatia Collection was gifted to Exeter University. She and daughter Nic also accompanied the Buddens to Washington state where we visited Elspeth Pope and her wonderful residential retreat, Hypatia in the Woods, named in tribute to our own. Her natural good sense, her wry sense of humour, and her strong belief in the objectives we have followed throughout, have kept us on track throughout her long tenure. We even had hopes that she would be able to retire within shouting distance of us here in Cornwall. Her talents as a textile artist are legendary. But above all else she was a friend in a million. Veronica's funeral will be held in Bathealton Friday 29th July. From Left to right: Nicola Janas, Veronica Janas, Elspeth Pope, Melissa Hardie on a group visit to Hypatia-in-the-Woods, 1998, a residential retreat for women artists on Puget Sound, Washington, planning forward for our transatlantic partnership. We are sad to announce the passing away of our much loved founder member and Hypatia Chairwoman Veronica Janas. A memorial service will be announced shortly with a celebration of her very creative life. The Hypatia Trust Crime Collection - 1000 books on crime, written by or about women including Agatha Christie, PD James and Jessica Mann - was presented to Falmouth University by University Librarian and Hypatia Trustee Doreen Pinfold. This collection now sits in Falmouth University Library at the Penryn Campus and is accessible to all, see here for further details. On International Women’s Day, The Hypatia Trust proudly launched The Elizabeth Treffry Reading Room at Krowji, Redruth, you can find lots of photographs on our Facebook page. In Cornwall, as true all over the world, the worthwhile achievements of women are often overlooked and even suppressed in oral and written histories. This special collection will play an essential part in re-balancing narratives in Cornish and Scillonian history and literature by sharing the triumphs, stories and arts by women who have lived and worked in the county. The reading room includes works by internationally acclaimed authors Daphne du Maurier, Helen Dunmore and Virginia Woolf and hundreds of the lesser known who should be found again. It also highlights histories of great Cornish campaigning women such as Emily Hobhouse, Dora Russell, Judith Cook and many more. The Hypatia Trust hopes that access to this important collection will provide young women and girls with inspiring role models whose lives were influenced by the place of Cornwall. This fantastic resource, a unique body of over 3000 books and artefacts by and about women in Cornwall and the Isles of Scilly is now open to everyone. Professional Archivist Rowan joins team Hypatia. We are super excited to introduce Cornwall’s own Rowan Musser who has recently joined Team Hypatia. Rowan takes the position of lead archivist – an important role which will mark the Hypatia Trust's 20th year! Rowan will be responsible for archiving the correspondence, notebooks and original manuscripts in the Hypatia Trust collections so that these important documents about women and by women will be conserved and made accessible for future generations to enjoy. Find out more about Rowan and the rest of the team here. A Special Issue of Brontë Studies (Volume 40, Number 4, November 2015) features as its opening article, the first formal publication stemming from Melissa Hardie-Budden’s current research into the maternal relations of the famed writers. Entitled ‘Maternal Forebears of the Brontë Archive: “Nothing comes from Nothing”; or Stories from another Canon’ Melissa shares some of histories emerging as the Carne and Branwell families worked and lived in West Cornwall in the late 1700s and early 1800s. Especially exciting is the formal launch of the Maternal Brontë Archive, just as the announcement is made (BBC and newspapers, 12 November 2015) of the finding of unpublished manuscripts by Charlotte Brontë inside a rare book that belonged to her mother. Maria Carne Branwell, of Penzance, travelled to Yorkshire in 1812 at the age of 29, joining other Cornish relations who re-settled there in the same year. In meeting the Reverend Patrick Brontë, within her family’s professional circle, she sent for her belongings and married him. The literary remains of poet Henry Kirke White, as written by Robert Southey, was a volume amongst her books, and this has come to hand in the USA, where it has been in the same family for over 100 years, with a poem and a short story by Charlotte between the pages. The bicentenary of Charlotte’s birth will be celebrated in various forms in 2016, and the Hypatia Trust will hold its own related event on 21st April. The Carne-Branwell family archive detailing key personages and cultural influences will be made available for study in future. It will take an important place in the Elizabeth Treffry Collection on Women in Cornwall and the Isles of Scilly. Hypatia Trust part funds creative writing course. 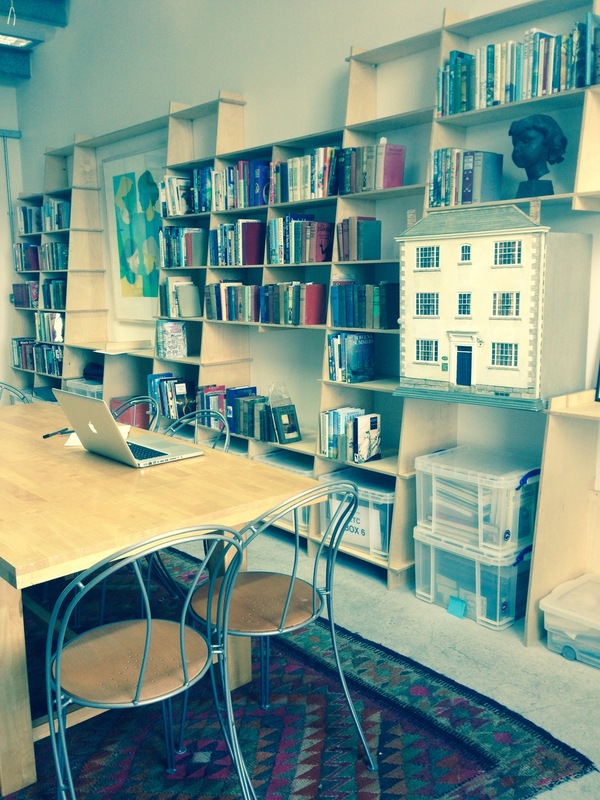 Creative writing course with Linda Cleary in Penzance. Linda Cleary is a writer and tutor who has been delivering courses since 1991. She is also the Literary Arts Coordinator for the Hypatia Trust who are part funding this course. The course runs for four weeks on a Saturday at the Morrab Library, Penzance, Cornwall from 10.30-12.30pm starting Saturday 21st November. See here for further details. Polly Attwood became the First individual donor to the campaign to open the next Hypatia Trust Study Centre in the stables of the municipal gardens in Penzance, Cornwall. In September 2015, taking flight from Land’s End Airport, Hypatia international director Polly, with the skilled assistance of her ‘sky-daddy’ made a courageous skydive to raise funds for her two favourite human rights causes – the Concord-Carlisle Human Rights Council (Massachusetts, USA) and our own Hypatia Trust. To each she made a truly handsome donation of £500, and we are so grateful! This will join the funds raised at our first corporate fundraiser hosted with the Friends of Morrab Gardens at Trevelyan House prior to Christmas 2014, when we raised an equivalent sum from our Doll Exhibition and sale. More about this soon when the surveyors and architects have been chosen for the project. Meantime, thank you Polly for your heaven-sent donation, and all the friends of Polly who made her (very scary) jump worthwhile.